“জয় বাংলা জয়! এগিয়ে যাও বাংলাদেশ! শাবাশ বাংলাদেশ”, these patriotic statements make us who we are – Bangladeshi – and make our heart swell with happiness. 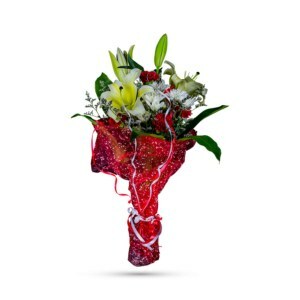 Brighten your home today with the beauty of the colors of our country and most importantly, with our vibrant and bold bouquet- Pride and Joy. 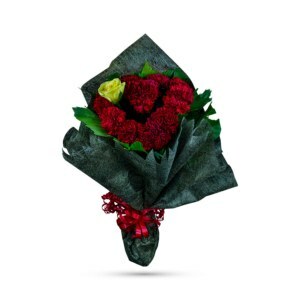 This bold display includes fresh red carnations gathered with green leaves, a small Bangladeshi flag and a “Welcome” add-on in a cardboard cube, which appropriately honors the country and those who are loved by the country. 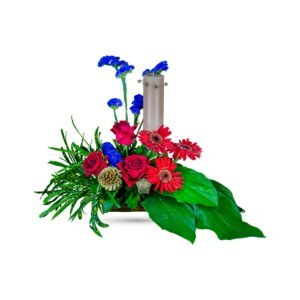 Pride and Joy is a classic display of florals to pay tribute to the memory of the ones who proudly served their country, and is a testament to hope, freedom and strength. It is the perfect patriotic pick to decorate your Independence Day dinner, to honour any country lovers, or to celebrate the wins of the National Cricket team. 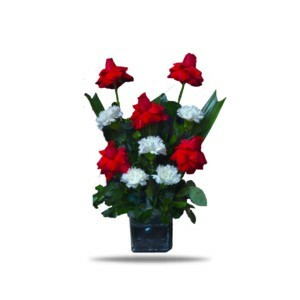 Order and bring the celebration home, to thank and welcome the heroes, simply by perusing our website. Then roar with Pride and Joy!